← Let’s give this a shot! When you look at any of the key “Top 10” lists in the state of Wisconsin, there is certainly a lot of parity. My list is not much different from others, but I do like to think that I tend to be more subjective than the major media (GolfWeek, Golf Digest, Golf.com). How some state courses are consistently left out of the major top ten lists (ie: Wild Rock, SentryWorld, Geneva National, etc. ), for example, is beyond me. 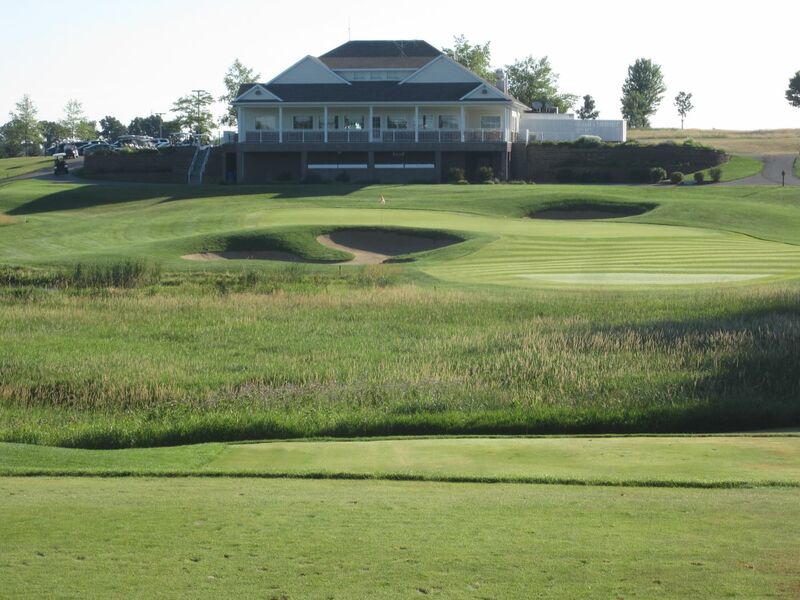 Located in the middle of nowhere, Southeastern Wisconsin, Erin Hills is looking forward to hosting hundreds of thousands of spectators for the 2017 US Open. 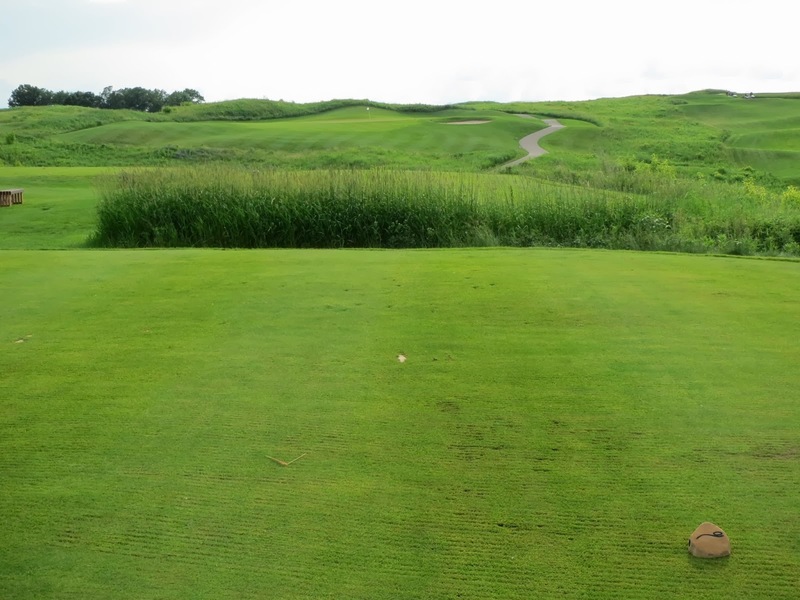 With fine fescue fairways, and bent grass tees and greens, Erin Hills is one of the most finely manicured courses in the country, and certainly in the state. Elevation is used stunningly, and craggy, deep sand traps abound the fairways and green complexes. 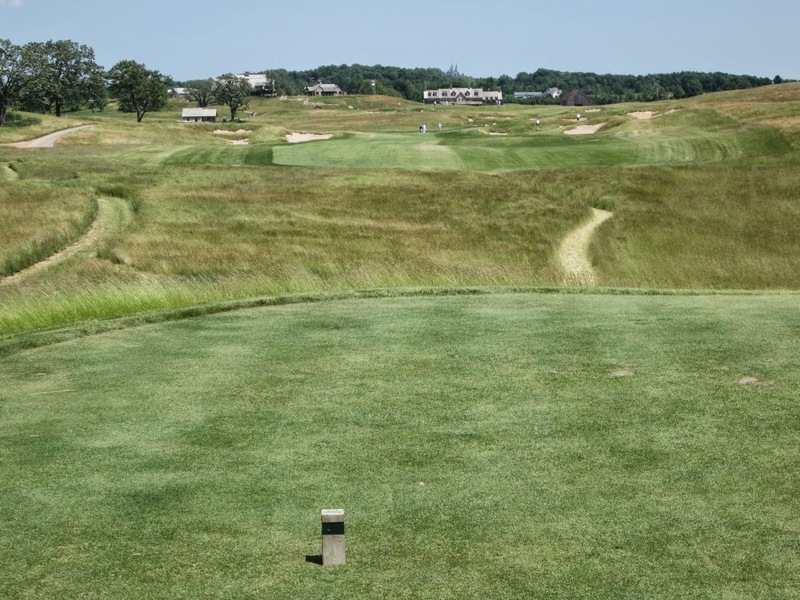 The US Open will be the longest in history, around 7,700 yards. With a slope of 145 from the championship tees, Erin Hills is one of the most challenging courses I have played, and also one of the most picturesque. Host of the 2004 PGA Championship, 2007 US Senior Open, 2010 PGA Championship, 2015 PGA Championship, and the much-anticipated 2020 Ryder Cup, the Straits course is perennially rated as one of the top five golf courses in the country, alongside legends like Sand Hills, Pebble Beach, Pacific Dunes and others. The Straits course features eight holes that run alongside the shore of Lake Michigan, offering one of the most beautiful (and windy) natural settings for golf in the world. Absolutely breathtaking. I loved, too, that I could play it on Tiger Woods Golf the night before playing it for real! The 47th ranked modern course in the country, the River has been the site of many professional golf events, including the 1998 and 2012 US Women’s Opens, and in the mid-nineties the Arthur Andersen World Golf Championships. The River is Pete Dye’s quintessential parkland course, with a championship tees slope of 151, making it one of the 30 toughest courses in America, and certainly one of the most beautiful. The Irish course at Whistling Straits is the next best thing to its $400-plus big brother Straits course. 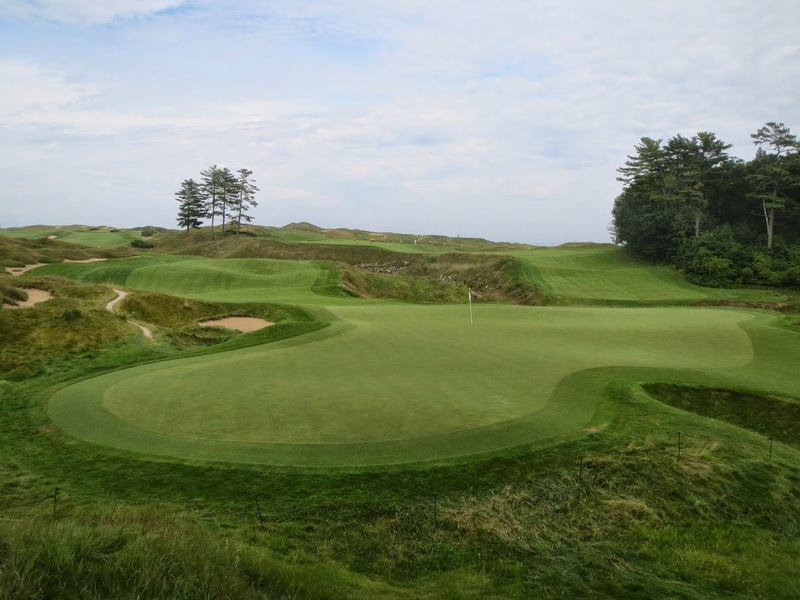 Striking vistas of Lake Michigan, and a perfectly curated layout make this course quite memorable. The 10th hole (shown below), nicknamed “Shepherd’s Post,” provides one of the most visually stunning tee shots I have ever taken. Carved alongside the site of the 2004 and 2010 PGA Championship Straits Course, the Irish features much of the same charm that makes the Straits such a fantastic tournament venue: Roaming herds of sheep, huge cliffs and changes in elevation, and lightning-fast bent-grass greens and fairways that roll beautifully. Even the restrooms built into the hillsides add to the rustic charm that is the Whistling Straits. Home of the famed “Flower Hole,” SentryWorld is much more than just one beautiful par three. 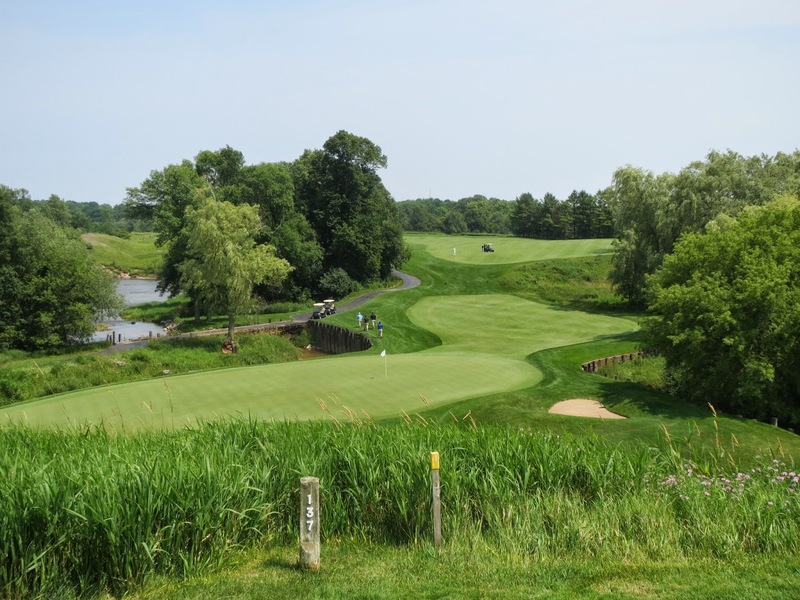 The course is a classic Robert Trent Jones, Jr. parkland design in central Wisconsin, and has been a perennial top ten to fifteen course in the state for nearly 30 years (including number one until Kohler entered the scene). 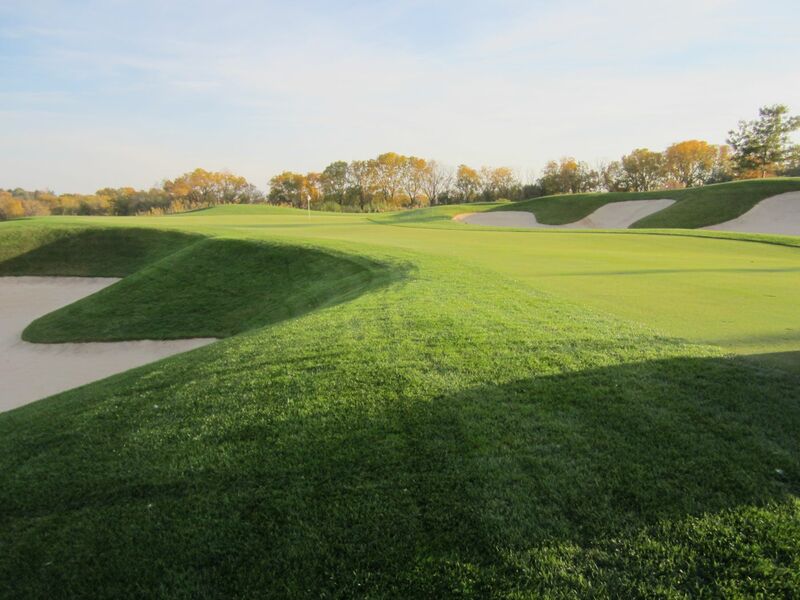 SentryWorld is scheduled to reopen in the Spring of 2015, after a major course renovation was executed by Robert Trent Jones, Jr. and his course design team led by Bruce Charlton and Jay Blasi. The new SentryWorld is better than ever. The improved routing and added length have successfully updated the course for the times and technology, while making the course more challenging for low-handicap players and more enjoyable for the weekend warrior. It is my prediction that SentryWorld: Reimagined will find it’s way back on to every major golf course ranking provider’s top ten list in 2015. The most legendary public course in the state, the Links is a perennial top 100 course in the United States, and Wisconsin’s most true to form links style setup. Highly elevated green complexes, huge elevation and devilish sand traps make it a fantastic test of golf. The one word that comes to mind when trying to describe this course is “Majestic.” How each hole seems to somehow outdo the last one is mind-boggling to me. The drastic changes in elevation, and the ridiculous length of this course is staggering, too (7,418 yards from the Quartzite tees). Wild Rock is a bit pricy, but well worth the $89 rate. With nine of Blackwolf Run’s original 18 holes, the Meadow Valleys includes my number one favorite hole in the state of Wisconsin: The magnificent par four fourteenth, known as “Nature’s Course.” This is just one of many beautiful layouts on the Meadow Valleys. I recommend not trying to play the Meadow Valleys from the tips, like we did on July 20, 2014. At 7,250 yards, there are par threes with forced carries of 227 and 230. Yikes. The split-fairway sixteenth hole is one of the coolest holes I have ever played. 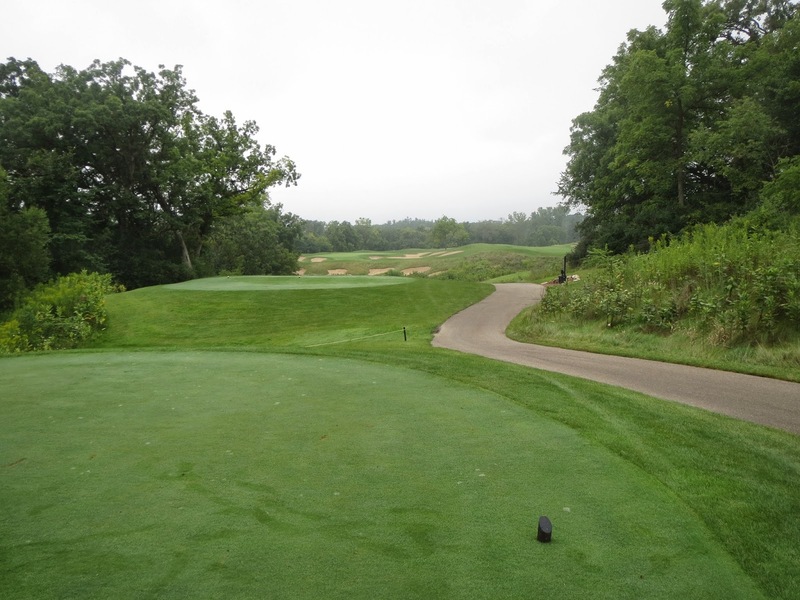 U-Ridge is a Robert Trent Jones, Jr. course, and is the home of the Wisconsin Badgers golf team. The back nine has some exceptional holes cut through the woods, starting with the thirteenth and continuing through sixteen. 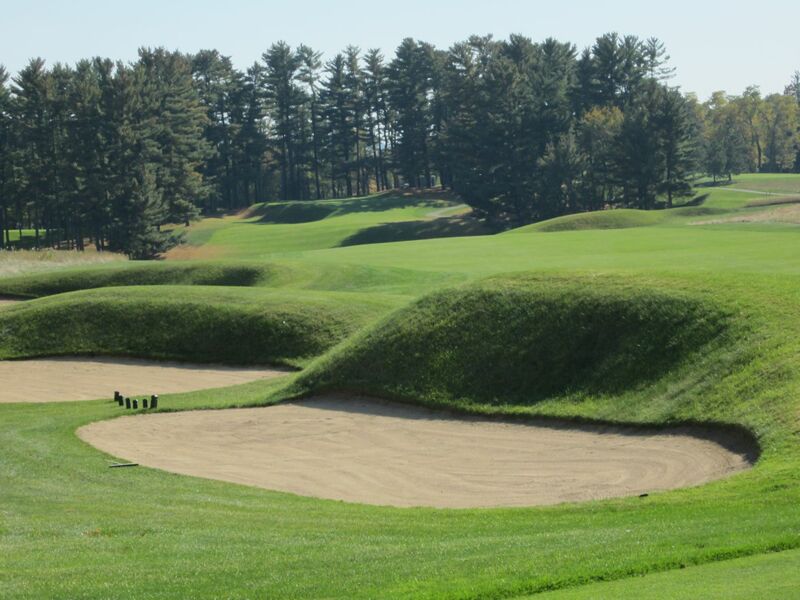 Recently renovated for 2013, U-Ridge now features the same 007 Bentgrass greens as at the Olympic Club, Augusta, and other select world-class courses. My favorite of the three courses at Geneva National, the Palmer Course features some of the most unique hole layouts I have found in the state. The par five seventeenth hole is ranked as one of Arnie’s “Dream 18” holes, and is one of mine, as well. The Bull is beautiful, to say the least, with outstanding hole layouts. But, it is also incredibly tight and penalizing. Designed by Jack Nicklaus, the course is spread out over 400-plus acres of former farm land, and beautifully incorporates the Onion River, dense forests, rolling hills, deep ravines, large ponds and significant elevation changes. The course rolls out one signature hole after another, especially in the stretch of the fifth through eighth holes, which is one of my favorite four-hole stretches of all time. A primarily replica course, my only complaint about Northern Bay is that it’s too damn far away! I have a hard time deciding which of the replica holes is my favorite: Oakmont’s church pews, Firestone, Amen Corner, Bay Hill… Probably TPC 17. It helps that I seem to play well here, but Castle at the Bay is the most entertaining course I have played on. 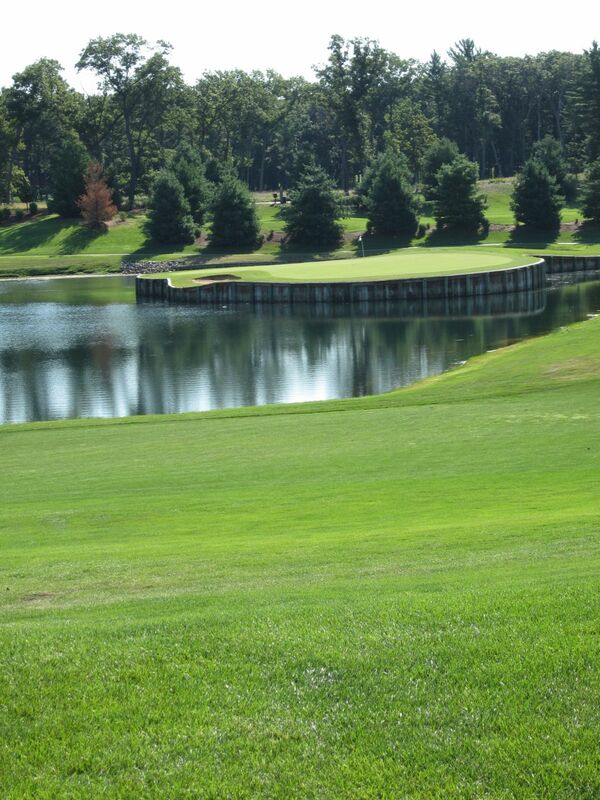 Featuring some of the truest, fastest greens in the state, Hawk’s Landing is a beautiful golf course with incredibly challenging par fives and great par threes. 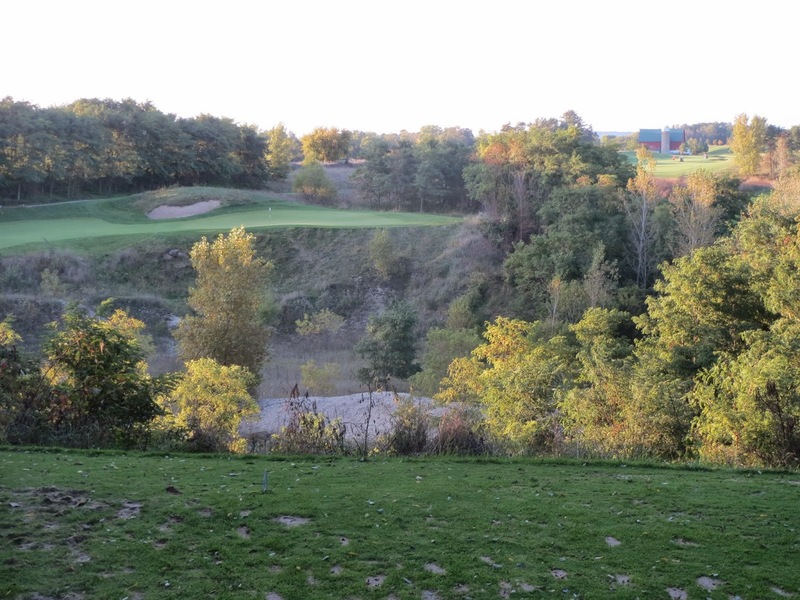 One of Wisconsin’s most beautiful Fall-time courses, especially, the Woodlands at Lawsonia is in stark contrast to its world-famous sister course, the Links. 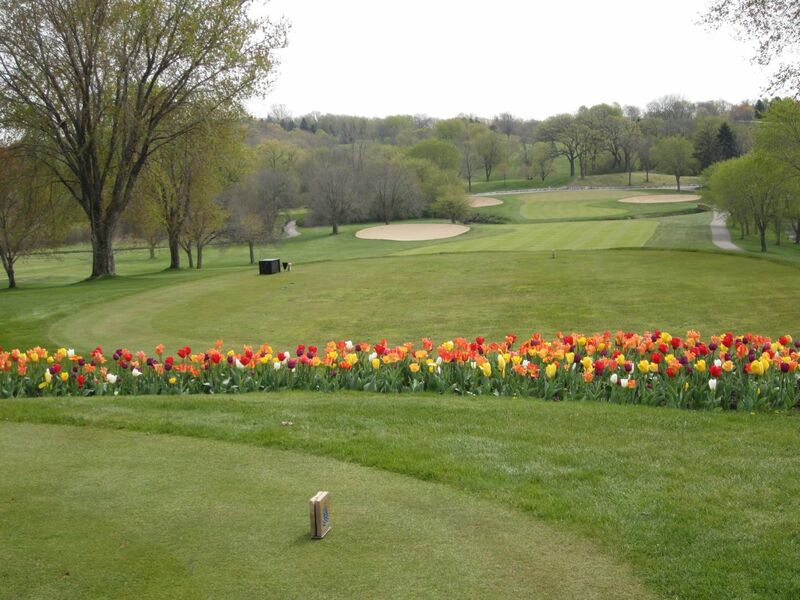 With exceptional holes like the second, third and seventh on the front nine alone, the Woodlands is half of what makes Lawsonia one of my favorite Wisconsin golfing destinations. My close second favorite of the Geneva National layouts, the Player course has some great hole layouts, especially on their par fours. With a number of holes offering extreme risk/reward scenarios, Player allows golfers to risk disaster for the potential reward of more managable approaches. 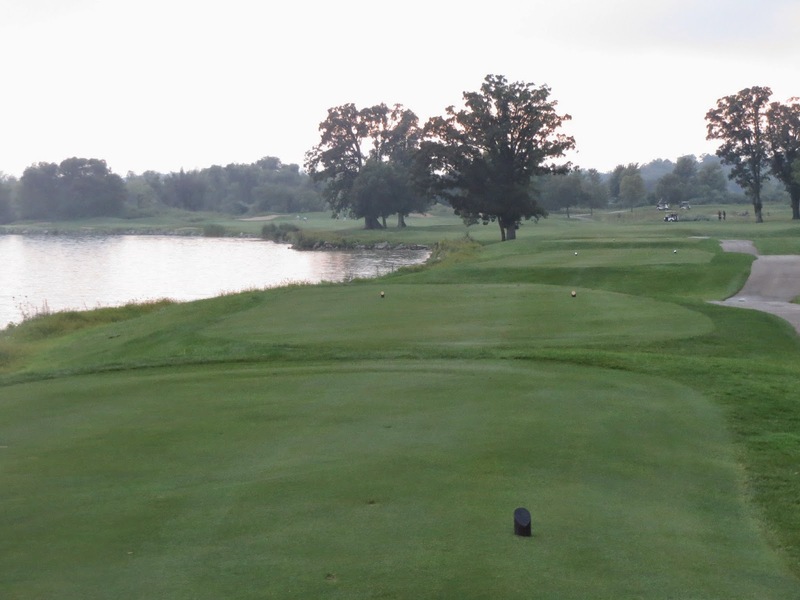 With one of the best collections of par threes in the state, Como Crossings takes great advantage of its rolling Lake Geneva land and former Mt. Fuji ski hill. Everything you need to know about The Brute at Grand Geneva is said in its name. This course is huge: Huge bunkers, huge water features, huge greens, huge elevation… Make sure to bring your A-game! 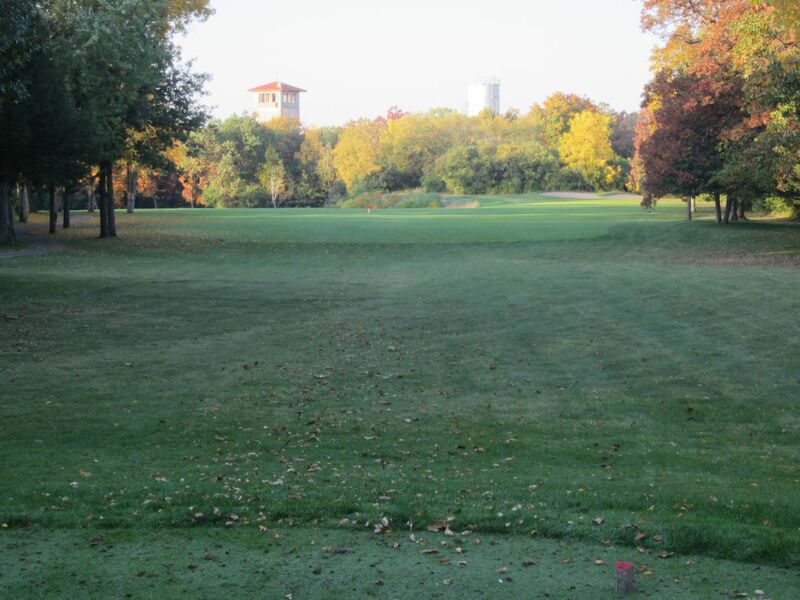 An Arnold Palmer signature course, The Bog is assuredly the Milwaukee area’s best overall public golf course (since the PGA Tour stopped coming to Brown Deer after 2009), and best championship test at 7,200-plus yards from the tips. The Oaks made its way to being one of my absolute favorite golf courses in the state this past year. Their greens are lightning quick and undulating, and its unique mix of six par threes and five par fives make it a wonderful test for anyone’s short and long games. 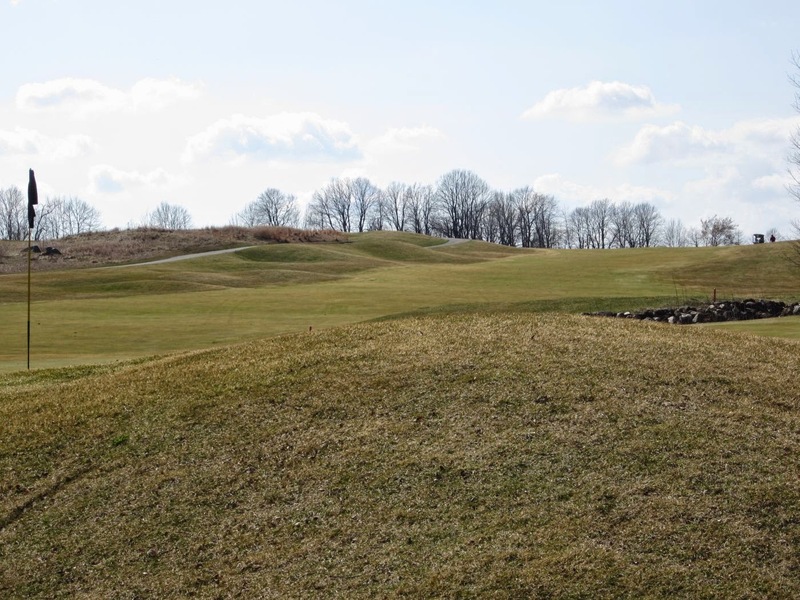 Wild Ridge was a perennial top ten course in the state of Wisconsin before the building boom of the 1980’s and ’90’s that introduced such tracks as Blackwolf Run, Whistling Straits, the Bull and Erin Hills. Wild Ridge has awesome elevation and a great collection of par fives. This was a great stop on the way back from the Twin Cities, just off of I-90/94 in Eau Claire. I just found your website, it is pretty good. I have played 518 courses soon to be 525 in two weeks. I have them all ranked. I was from Wisc. so I have played all but a handful you have ranked in your top 20. The ones I have not played are: the Straits, Erin Hills, Wild Rock, Wild Ridge, Hawks Landing, University Ridge. I question how high your Lawsonia Links course is, and your Geneva National Palmer course is ranked. I think the Player is much better. My #1 course is BWR-River, Wolf Creek in Mesquite (would have been #1 but the condition was so so, you need to play it “You are not on this earth”, your jaw will stay in the gawked position. 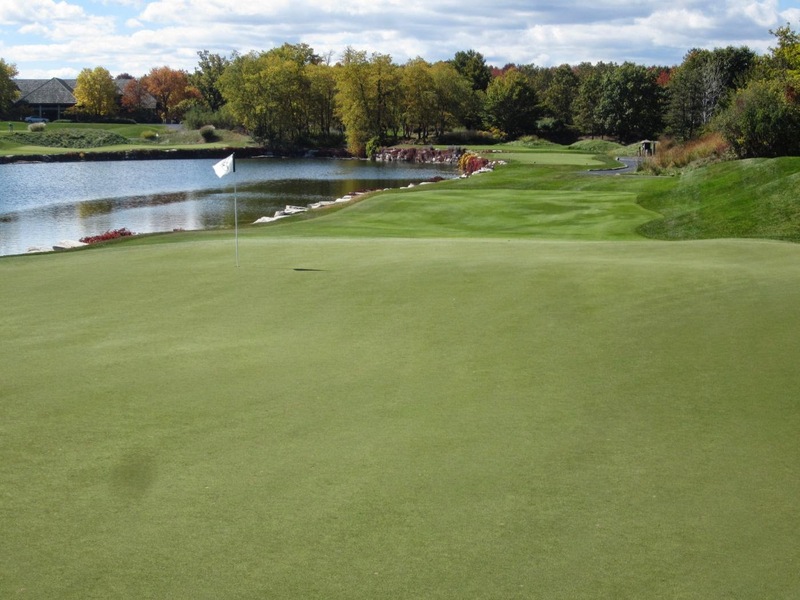 My Wisc courses ranked from BWR-River, Irish, Brute, (I am stunned by little interest, except for the boring round greens, oval sand traps and straight lined fairways, the property and routing are fantastic), Sentryworld, BWR-Meadows, Bog, Bull, Lawsonia, Bergamont Autumn Ridge, Oaks, Naga Waukee, Lawsonia other course down the list some, I would finish this list with Tappers turn. 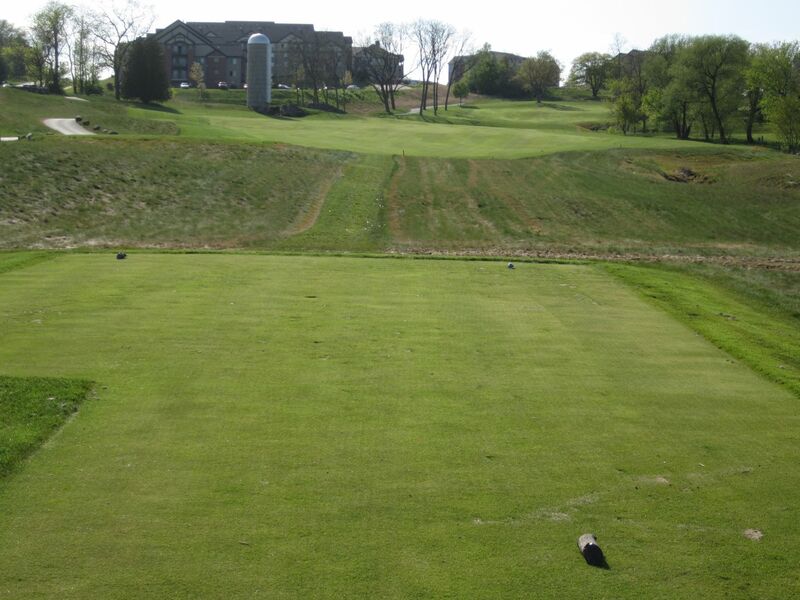 I found your blog when I checked out Harvester GC in Iowa, that is my key course I will play in Iowa. Others, Tournament Player Club of Iowa, in recent years had a Senior tourney there, Legacy, Preserve, Bos Landon, and maybe Beaver Creek. I will be staying around Des Moines. I have played in Thailand, Singapore, and China, as well as many courses in Canada and Mexico. I have played 163 of 167 courses 75 to 80 miles radius around my home in St. Louis area, there are some real dogs as well, I count 9 holers, but no par3 courses. Those other four are tough but I think the list will be at three soon. If you are interested in my spreadsheet of my courses I can send it to you? This is a great list. I have been fortunate enough to play most of these but not all. 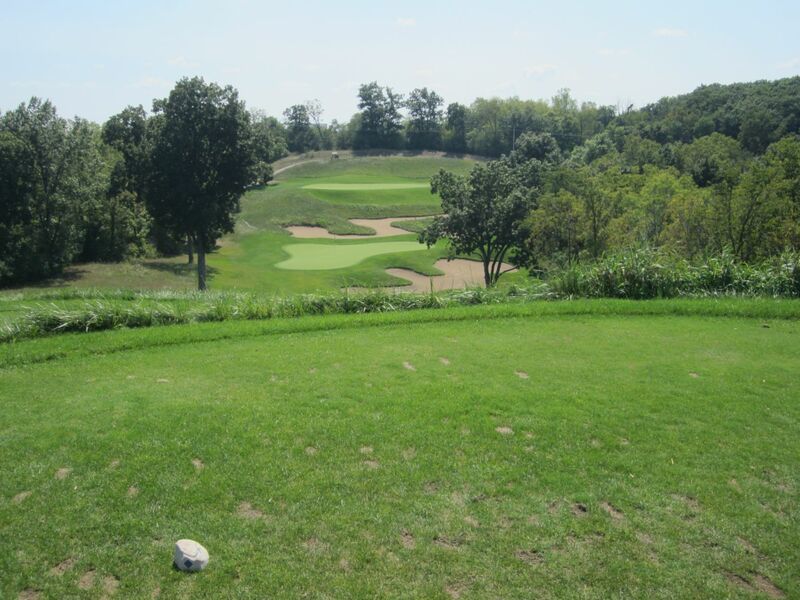 Two courses you should consider adding are Arrowhead and Old Hickory. Old Hickory, in particular, is a hidden gem. Located in Beaver Dam it is simply outstanding. 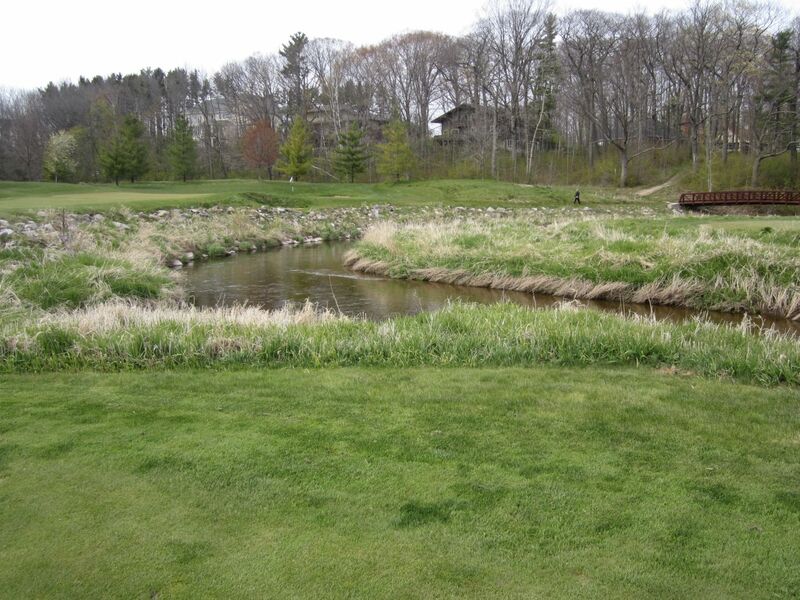 You would never expect to find a course of this quality in little Beaver Dam, Wisconsin but I can assure you it is worthy of consideration. I say this as someone living in the Milwaukee area and belonging to a private country club (i.e. I have no real connection to the course). Thanks again for publishing this list. I have heard good things about Old Hickory. They seem to get some good WSGA events there, too – I’ll have to check it out. What private club are you at in the Milwaukee area? We had a great time in the UP in June. Because we have a few guys coming from further away, we did 18 at Timberstone Friday and then 36 at Sweetgrass on Saturday to make it easy for replay in our Ryder Cup event. Sunday is recovery from casinos and libations. I like Timberstone a bit better than Sweetgrass, but they keep both of them in such great shape. I think maybe it's because I generally play better at TStone. Sweetgrass' greens are tough! Thanks for the feedback, Jon, I really appreciate it! I passed by The Orchards last year when I was on a summer vacation to Door County, and it looked really nice, but I haven't had a chance to play it yet (or Peninsula State Park). I hear the views at Peninsula are pretty amazing. What's your favorite of the three in the U.P? Thank you again for the feedback, and make sure to check back often. 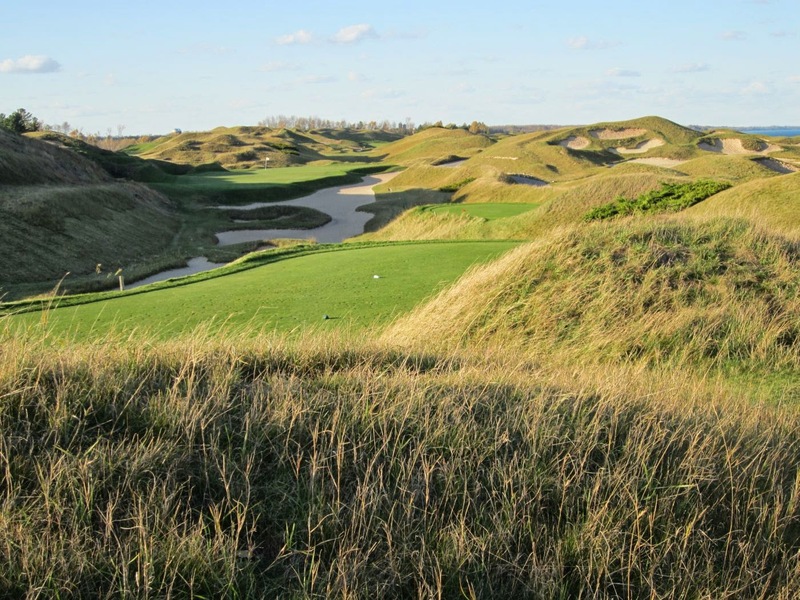 I've got quite a few reviews currently in the works, including the Straits course and some out-of-state gems like the Prairie Club (Dunes and Pines courses), Dismal River (Doak and Nicklaus courses), the Harvester, etc. This summer I will hopefully be posting a lot of Wisconsin private club reviews, too. Paul, just discovered your site and I love it. As far as your top 20 here, I agree with almost every one, even though there are a few I haven't played yet. I noticed on your site you haven't reviewed The Orchards or Peninsula State Park in Door County. You shuold head up there for a night and play them. Peninsula is a classic layout cut out of a state park, and the Orchards is a new but fantastic course. Love the reviews….keep them coming!! 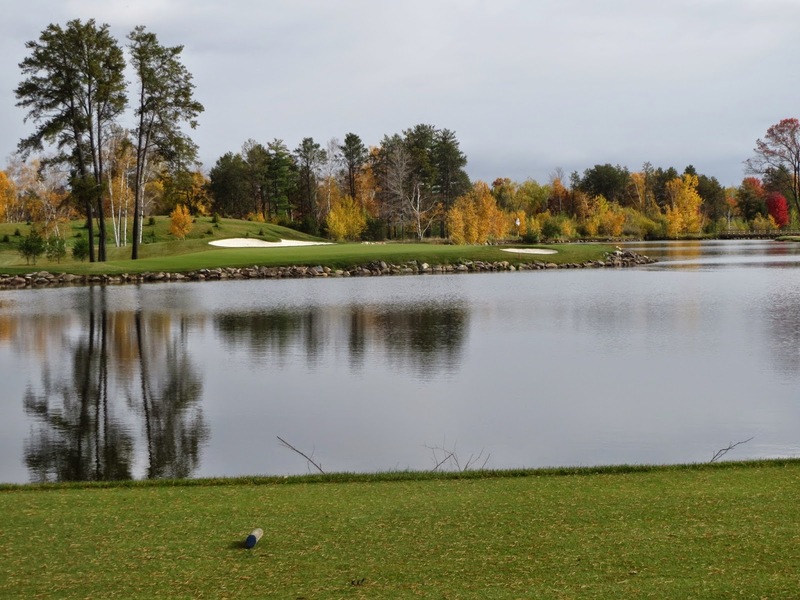 PS – I have a group going to the UP for the second straight summer, and your reviews of Timberstone and Sweetgrass were great…I sent the guys the links to get us all excited for our Ryder Cup event in two weeks. It AMAZES me that throughout the years nobody has posted anything on my rankings of the top courses in the state, etc. I am very happy to see you are remembering all the courses you play and putting together this list. You have a great writing style and this is very fun and easy to read – can't wait for more posts! You should try to get sponsored!